Assembled by each couple, these baskets full of their favorite things are truly one-of-a-kind. 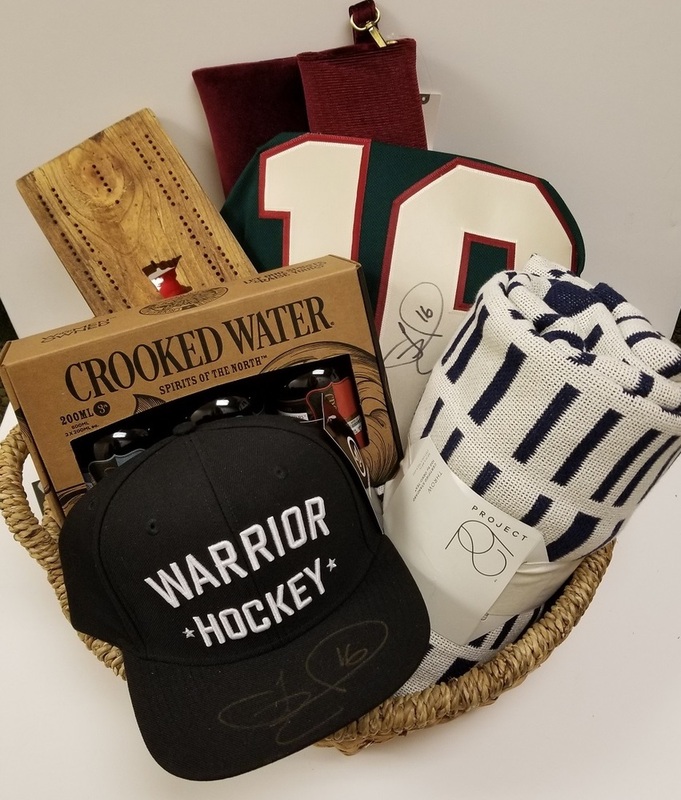 Jason and Carly's basket includes:an autographed green Wild jersey, a burgundy Anthropologie handbag, an autographed Warrior hat, skittles, a pack of Crooked Water Spirits of the North, a MN cribbage board, a deck of playing cads, a Lavender stress pillow and a navy and white stripped throw blanket. Proceeds benefit Women's Advocates, a local domestic abuse shelter. Due to the size and nature of the baskets, these are a pick up only item.